The Economic and Financial Crimes Commission has arrested one Chinedu Nwosu for allegedly defrauding a Taiwanese businesswoman of $1.2m. It was learnt that Nwosu was arrested following a petition by the Taiwanese, Ivy Hung, in which she alleged that the suspect defrauded her company, Pollen Corporation, of the said sum. 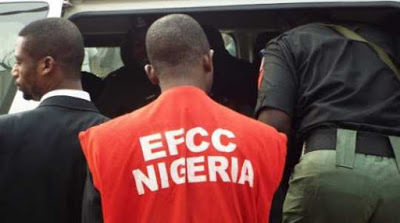 In a petition written by the lawyer for the company, Mr. Pius Okeoma, and addressed to the EFCC Chairman, Mr. Ibrahim Magu, the petitioner alleged that the suspect and his wife were involved in the scam. The petitioner alleged that Sahara Tooling, a firm owned by Nwosu and his wife, Mrs. Ifeaneme Nwosu, a nurse in the Nnamdi Azikiwe University Teaching Hospital, Nnewi, Anambra State, received goods from the Taiwanese businesswoman through Pollen Corporation on credit. It was said that the couple sold the goods, but refused to pay the company. Instead, Chinedu allegedly diverted the money to personal use by investing part of the sum in a transport company, African Eagle Multi-Transport Services Limited, which he co-founded with some Chinese. He was said to have issued some cheques in part payment of the sum, but the cheques were dishonoured on the grounds of lack of funds when presented at a bank. The petition read in part, “Our client has made several efforts to reach the said Mr. Chinedu Nwosu, including going to his business addresses in Asaba (Delta State), Nnewi and Onitsha to make him to put value to the cheques and honour the content of the debit notes to no avail. “Mr. Nwosu kept hiding from our client. This attitude and the non-payment of the various sums in the debit notes have put our client into untold hardship and doubts to further trust and do business in Nigeria. It was learnt that months after receiving the petition, the EFCC was able to arrest Chinedu. He had spent over a week in the custody of the commission and was said to have made useful statements to the EFCC operatives. The spokesman for the EFCC, Mr. Wilson Uwujaren, could not be reached for comment.